The Newseum in Washington, D.C., which is located on Pennsylvania Avenue between Congress and the White House, will be purchased by Johns Hopkins University for $372 million. The sale was announced on Friday by the Freedom Forum, the creator and primary funder of the Newseum. Johns Hopkins University President Ronald J. Daniels also announced the acquisition of the Newseum building in a message to the university and Johns Hopkins Health System on January 25. 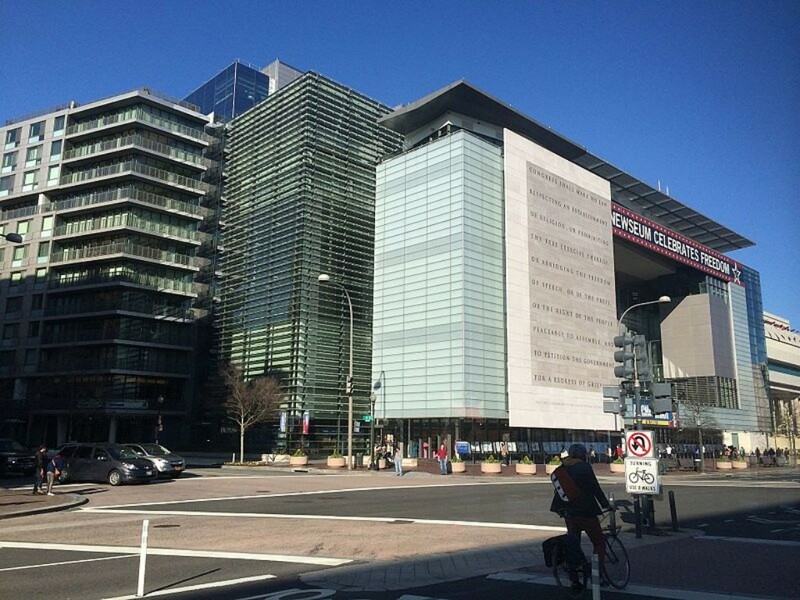 The Newseum building will be used by the university to house its Washington-based graduate programs. The museum, dedicated to journalism and the First Amendment, will remain open to public through 2019. “This new location will allow us to consolidate and expand our Washington, D.C. academic facilities into a single state-of-the-art building – a world-class academic space that can be optimized for current and future research, education and engagement,” according to the press release from Johns Hopkins University. “The Newseum is a unique, purpose-built property that will require significant renovations and governmental reviews for conversion to academic use. We are eager to engage with elected officials, public agencies and the surrounding community and will be sharing additional details as they become available in the coming months,” the press release added. The group is committed to keeping the museum’s programs and will explore options to perhaps find a new physical location in Washington, informed Jan Neuharth, the chairwoman and CEO of the Freedom Forum. An approval of the deal by regulators is still required.